Around 830pm I arrived on Market Square in Knoxville, TN. The Dogwood Arts Festival was not opened late at night. Yet, there were hundreds of people eating, drinking, and enjoying a nice evening. The Lord gave me some creativity in distributing Gospel materials. I had about 20 Gospel of John(NIV) and a handful of the Christmas Million Dollar Bills. So I place a bill in each of the Gospel of John books. The idea was a person will more likely keep the tract if placed in the Gospel book. I only saw two GOJ with/tract on the ground and another person rejected a Gospel of John. However, out of the 20 Gospel of John books 18 were kept by the receiver and another 10 Million Dollar Bills were given out. Just planted seeds and pray other brother and sisters in the Lord will come and help me harvest on the Market Square “Farmville”(My reality version of the Facebook game “Farmville”) Remember the Lord is the one that makes the seed grow. I do not have time to do Farmville on the Internet. Yet, I love doing real spiritual Farmville among the Lost in Knoxville. I admit it was crazy to get on the road and to the mall on Black Friday. Yet, after prayer and a morning devotional in the book of Psalms, I pressed onward. I always start with prayer prior to evangelizing. Ended up parking way out in “No-man’s Land” I did a one package(100 count) test run of the Santa Million Dollar Bills. SIDENOTE: With the Supreme Court cases like Pruneyard, I could walk in freely and talk to anyone. 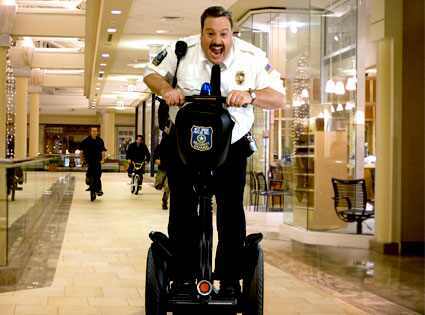 I cannot just go up and start handing out tracts without catching the attention of the mall cops(Paul Blarts’). Thank the Lord, he blinded the eyes to the mall cops in my general surroundings. I drop my first bill. I wait and wait…..wait some more…..then trusting God, I walk on knowing someone will pick up the bill. (Even if it is the Environmental Services, i.e. maintenance.) I head to the inside entrance of JC Penny and drop a bill. Within minutes someone picks it up. (Walked away and came back and noticed the bill was gone.) I stick a Santa buck in the Coke machine slot and a teen takes the bill. The next few rounds, I target empty benches and chairs. Black Friday shoppers need a sit down break. So watching many shoppers read the bill on the bench. Some take the bill with them, others leave it for others to read. I had one elementary school girl give me my bill I dropped. She thought I did it on accident. I told her to keep the bill. It was getting close to lunch, so I go where most hungry shoppers congregate….the food court. Santa bills in the food court go like hotcakes. The first one in the food court to grab a Santa bill tract was a chocolate candy sample guy. He started reading it to his coworker handing out the chocolate kisses. (Yes, I found all the chocolate candy people and they gave me candy samples. I was able to hand a Santa bill to one of the sample candy people.) At empty tables, I left a Santa bill. I had one person walk up to me, thinking I accidentally dropped the bill. I did tell her thank you. So, I found a new home in the food court for the bill. After leaving the food court, I started to return to my car. HOWEVER, God gave me the nudge to the best place to get the most readability out of the Santa tract. I walked around the area where the Mall Santa was sitting. There were benches galore around the area. (They each got a Santa tract. Some more than once after a person decided to keep the tract.) There was a line to see Santa, so I did give out a few Santa bills to some children after I got permission from the parents. I dropped one Santa bill in the hallway of JC Penny leading to the bathrooms. I walked a few feet away and saw a man sitting on the ground waiting on his wife in the bathroom. Apparently, she took awhile because he picked the tract I dropped and read the message. He put the tract back on the ground and with a worried look kept rubbing his forehead and staring at the tract. I quietly prayed for him as the message was taking root in his spirit. I still had some Santa bills left as well as some various other tracts in my possession. I had the rest of the day free so I pressed on with the evangelism. God blessed me with the Black Friday mall shoppers, so I prayed and asked if he grant me favor to go across the street to Boarders bookstore and place some free bookmarks(tracts) in some popular reading materials. He gave me the green light. ( I have learned to pray first and let the Lord go before me.) Books are popular Christmas gifts. (So why not give some food for thought when it comes to reading you favorite book?) Most all fiction books have some religious references scattered throughout the pages. So why not give the real Christian message to the religious ideals in fiction books. Some popular books and authors got my tract approval(Or disapproval pending on how you look at it.) One popular book among teens and the goth crowds is the Twilight series. I noticed the majority of teen fiction books had some occultist or dark themes. (Vampires, witches, etc.) I went to the classic section and did more bookmark placements. One of the positives of having a mother teaching me to read at a early age and taking American Literature class in college was to recall popular titles. Some classics which got tractd’ was “1984” and “Count of Monte Cristo.” I stuffed any book with the Oprah selection sticker. I placed a dozen Decision magazine on all the benches in Market Square. The rest of the magazines I gave out to the public. I walked around and handed out the last 25 Santa bills. I switched to a stack of Michael Jackson Million Dollar bills and various business card style tracts. During the duration of my time in the downtown area, I walked around handing out the tracts saying, “Merry Christmas” or “Here is a million dollar bill for you”. I had several ask me what the reason for giving them out. I told them there was a gospel message on the back of the bill or tract. I did get rejected a few times. (The times I did was when I said “Here is a million dollar bill for you”. Saying, “Merry Christmas” almost guaranteed the person taking the tract. The only two times I said, “Merry Christmas ” the tract was rejected. One by a girl who threw the tract in the trash and another by a man asking why I was giving the tract. He thought I was giving a business flyer and promptly walked away after I told him about the gospel message on the tract. I felt the prompting of the Holy Spirit to pray for him. I always pray for all the tracts I give out to have a positive effect. Yet, sometimes, God leads me to pray for certain individuals receiving a tract. I did receive some positive and much-needed encouragement from Christians in Market Square. I only hope it is reciprocal and they are encouraged to share Jesus. One of my consistent Market Square Christian encouragers is a street musician, James. From talking to him, he has the fruit of a believer. He earns most of his money by playing his wooden flute in the downtown area. He helps me in handing out tracts. When a person drops a dollar in his hopper, he thanks them and gives them one of the tracts. If people stick around and visit with him, he starts sharing the Gospel with them. I do find enjoyment from serving Jesus in this capacity. As time passes, I hope the Lord keeps giving me opportunities to evangelize. When the Lord gives you the opportunity to serve him, do it. I always want to make myself available to serve the Lord. If I could evangelize full-time, knowing my daily needs would be met, I would do it in a heartbeat. I want to leave you with a quote from the Prince of Preachers, Charles Spurgeon. There are many biblical ways to evangelize. Spurgeon has a way with words on strategy. First Friday in Downtown Market Square is an event where the art and music lovers convene to display their talent. A group of us from Calvary Chapel and another brother in the Lord went on Friday evening onto Market Square and shared the Gospel message with those we met. We always start in prayer. Never go in our strength and ask God to keep us humble and to speak through us. We encountered many people. Some were open to listen as we asked them about their spiritual background. Many gave answers such as, “Oh, I’ve been baptized,” “I’m a Catholic/Baptist/Methodist/etc,” “I consider myself a spiritual person.” Yet, being baptized or stating your denomination doesn’t grant you access to Heaven. The use of different gospel tracts(the good person test, million dollar bill, leaflets, etc) helped open up the conversations into allowing the person to divulge the spiritual or lack thereof background. Many enjoyed the tracts which had a humorous overtones. (The Michael Jackson Million Dollar bill) Breaking the ice with people can disarm any anxiety between the evangelist and the man/woman encountered. Some of the people we encountered had some Christian background and some had other religious background. The more we found out about an individual, the better we were able to present the Gospel in a way the person could understand. One lady did call one of the guys ignorant and how we were accosting people out enjoying the evening on the town. This lady did believe it was alright for other people on Market Square to handout other items(business advertisements, food samples, etc), but Christians should not be able to do the same. I guess in her mindset the first amendment to the Constitution does not and should not apply to Christian evangelists. A group of young people told us the attended Faith Promise. Faith Promise is a Christian Church in Knoxville, TN. They told us they, as individuals, do not believe in sharing their faith in Jesus. They said if people want to hear the Gospel the just need to come to church. Here is the problem with this mindset: In the Bible we see the prophets in the Old Testament openly preached, Jesus openly preached to the crowds, and in the book of Acts the disciples preached to the public. There is an Americanized mindset, which is not biblical, in which the Christian faith should only take place on Sunday morning service by a licensed pastor. Many will not set foot in a church. So in obedience to the Great Commission, We”Go in ALL the World” to preach the Gospel. In other words, God wants us to take the Good News to the public. We encountered a group of New Age Wicca musicians and dancers. One of the dancers told Pastor Brian she did not like what we were doing and being so narrow minded. The more the drums were beating and the more she danced, the more she was allowing demonic activity to take over her mind and body. A very upset college-age lady after taking a million dollar bill walked all the way back from Gay Street to Market Square to give us back the bill. She did not like the Gospel message on the tract. As the night was drawing to a close, we closed in prayer. During the prayer we were interrupted by someone watching us. We asked if they wanted to join us. We asked her and her friends questions, they divulged they were Jehovah Witnesses. Pastor Brian and Tim Weakley were the main speakers while the women would bring up the issues they did and did not believe about God. We avoided getting into a shouting match or going to their level of arrogance. This was a first time during the night, God brought them to us instead of us going to a person or group. We ended on polite terms and did not back down from our beliefs. We gave them props for their cult being so committed to evangelizing their beliefs and how we wished more from our Christian faith would do the same. We went back to praying without being interrupted and prayed specifically for these women and especially for those which rejected the opportunity to repent of their sins and come to faith in Jesus. It is sad when many in an area known as the “Bible Belt” people trust in their good works, rituals, and attending church on Sunday or a Saturday Mass, as getting into Heaven. They believe in buying off God through these means to get them Heavenly access. This is a slap in the face to God. He sent his only Son, Jesus, to be beaten and killed for the salvation of world. Yet, people would rather trust in their self-righteous religiosity than repent of their sins and put their faith in Jesus. I do not go out street preaching to toot off my horn. I honestly want to see many people coming to repentance and faith in Jesus. I know where I have came from and where God had brought me. It would be selfish to keep Jesus to myself. So, I want to share Jesus with as many people. 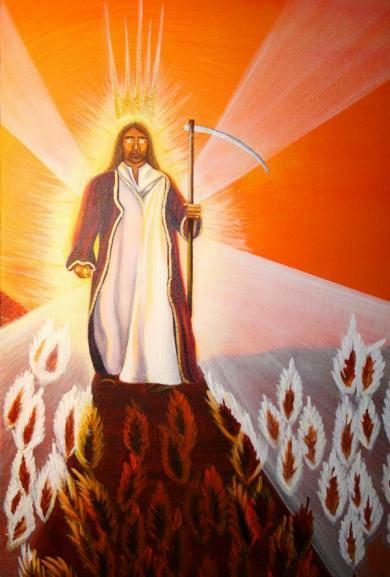 If I am going to spend eternity in Heaven, I want to be able to interact with as many people in Heaven. I love Jesus and I love people. So to really love people, I need to tell them the truth about what occurs in this life, determines what happens after this life ends.